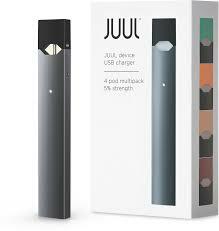 It’s 2019 and by now everyone has probably heard of the JUUL by PAX LABS Inc. Yes, that PAX. The same company that brought us the famous PAX and PAX 2 dry herb vaporizers and the more recent PAX 3 combo vaporizer that can vape both loose leaf and concentrates. What made the JUUL different than the all other devices was that it was the first to use Nicotine Salts as the core ingredient in its eliquid. In fact, they were even granted a patent that recognized their breakthrough method of providing cigarette-like nicotine delivery. So, what are Nicotine Salts? Nic Salts are simply the natural form of nicotine that is found in leaf tobacco. The term ‘salt’ has really nothing to do with sodium or a salty taste. Rather, it describes the crystalline chemical structure of how nicotine atoms are arranged and exist within the tobacco leaf. In tobacco leaves, nicotine bonds with certain acids in the plant to create a more stable molecule. After experimenting with different natural acids, JUUL settled on using the naturally-occurring benzoic acid to create their patented nic salt and found that its bioavailability (the ability to be absorbed by the body) was just as quick and efficient as traditional, combustible cigarettes. Up until the launch of the JUUL, all other eliquids or ejuices were using free-base nicotine, which tends to be harsher on the throat at higher concentrations, almost mimicking a black-peppery-like feeling upon inhale. With the JUUL, that harshness was gone and users were able to get that immediate nic satisfaction that they were craving. 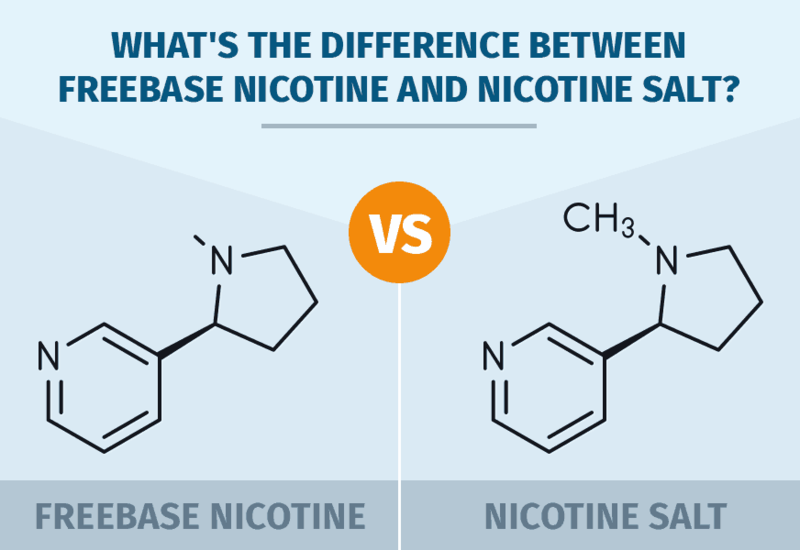 For a more detailed explanation of the difference between freebase and nic salts, check out this awesome article. So, with the launch of the JUUL, we were introduced to the first mainstream device that used salt nicotine. But more than that, the JUUL offered would-be quitters a simplicity and beauty that was eagerly welcomed. Not only did the JUUL satisfy the cravings with an immediate head rush of nicotine, it was also extremely easy to use with no menus, no buttons, and nothing complicated to learn. There was no mess and no filling tanks. No leaking. You simply had to pop in the pre-filled cartridge and inhale. That’s it! The result was (and is) a smooth, tight, cigarette-like experience that took (and keeps taking) the world by storm. Today the JUUL is the best-selling e-cig on the market and its popularity in Canada is growing daily. VAPEVINE is proud to be a retailer of authentic JUUL kits and pods. Now you can buy the JUUL in Canada, with Canadian dollars and not have to worry about shipping delays or question authenticity. 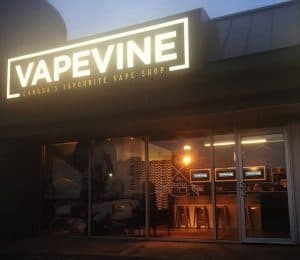 In business since 2014, VAPEVINE is the Leading Vape Retailer in Canada with hundreds of real Google Reviews and thousands of satisfied customers across this great land. It’s no wonder that we are affectionately known as Canada’s Favourite Vape Shop. Buy the Authentic JUUL Starter Kit in Canada here. Buy the Authentic JUUL Device in Canada here. Buy the Authentic Silver JUUL Device in Canada here. I’m not going to lie, I thought the Juul was completely overrated until my sub ohm tank fell apart on the way to a camping trip, and I had no real choice other then to buy one. I thought with such low vapor production and such a small battery, there’s no way it even competes with most vapes on the market, and the only reason behind the hype I could see was the sleek form factor. Little did I know I was about to use nothing but the Juul for a good two weeks. I think this speaks mostly for nicotine salts being the future of vaping. Just when you think vape companies have no more room for innovation, nic salts hit the scene. I continue to be impressed by the technological advances in vaping, and I look forward to the day that I can tell my grand kids about one of the top public health interventions in human history. Congrats to Canada on embracing the newest advancement in smoking cessation!